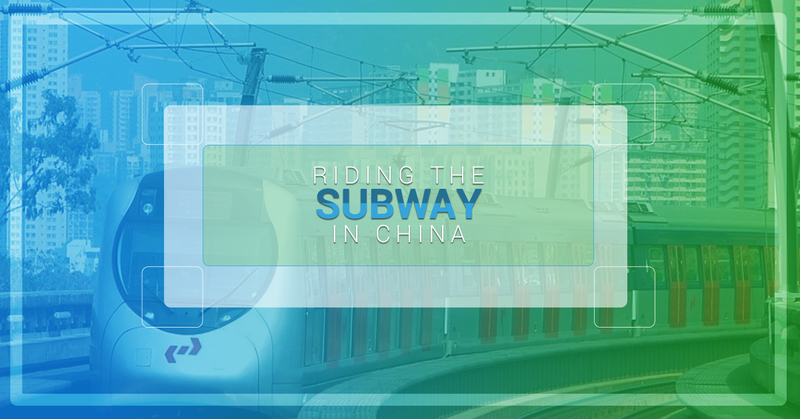 If you’ve decided to come to China to teach English and are living in a larger Chinese city such as Beijing, Shanghai, Guangzhou, and Chongqing, the subway or metro is the fastest, most affordable transportation option you will have. However, riding the subway on your own for the first time might be a bit intimidating. Here’s what you need to know to make things a lot easier. The best map app to use in China is Baidu maps. Baidu is the Google of China. However, currently there is no English version for their map app. To find the nearest subway station in your city, you can download an app from a company like exploremetro.com, which currently offers apps for the following Chinese cities: Beijing, Shanghai, Guangzhou, Hong Kong, and Shenzhen. You can purchase a one-way ticket from a machine or from a subway attendant. Purchasing a ticket from a machine is quite easy. In one of the corners, there will be a button for you to switch the screen to English. After that, select your destination on the map and the machine will tell you the appropriate fare. Sadly, you cannot purchase roundtrip tickets. If you prefer practicing your Chinese with a person, there should be someone sitting in a glass ticket booth (as well as a line of people). You can go up to the window and just say the name of your destination in Chinese and they will tell you how much fare is due. The ticket booth is also where you can purchase a transportation card (jiao tong ka). This card can be used for buses, taxis and the metro. Tell the attendant you want to buy a card by saying, “Wo xiang mai yi zhang jiao tong ka.” You will need to hand the attendant at least 25RMB as there is a 20RMB deposit so you will have 5RMB left to use on the card. It will be easier if put at least 50 or 100 RMB on the card. When you need to refill the card, you don’t need to say anything. Just hand the attendant your card and some cash. Once you have either your one-way ticket or your transportation card, you will need to go through security and then scan your card at the turnstile. Both the ticket and the card scan. On your way out of the subway, you will again pass through a turnstile. This time you can only scan your card. If you have a one-way ticket, you will need to put it into the slot and never see it again. The metro in China is almost always crowded, especially during 7:30-9:30am and 5:30-7:30pm. Make sure to keep all personal belongings such as purses and backpacks in front of you where you can see them. Also, keep your phone and wallet in a zipped pocket as it’s very easy to grab either of those out of someone’s pocket or hand when there are so many people crowding around you. If you were lucky enough to find an open seat, it is common courtesy in China to give up your seat to anyone with a child (under the age of ten), pregnant women or the elderly. If you have any other questions about life in China, please contact us!